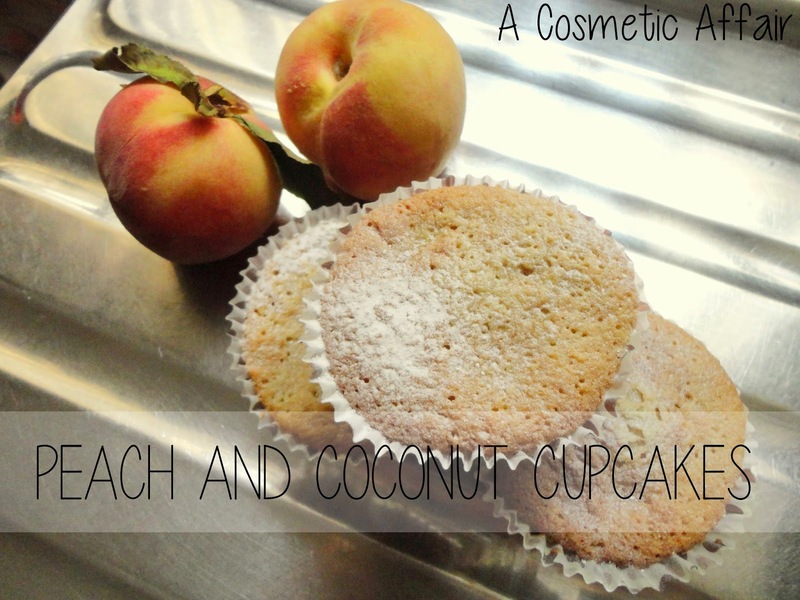 This week I baked these delicious Peach and Coconut Cupcakes which are really easy to make and do not require much time and ingredients to make. If you are a bit scared of baking, these are the cupcakes for you. No fuss and great tasting treat. This mixture made about 14 cupcakes but it depends on the size of the cupcake cases that you use. Here is how they look like right before going in the oven. 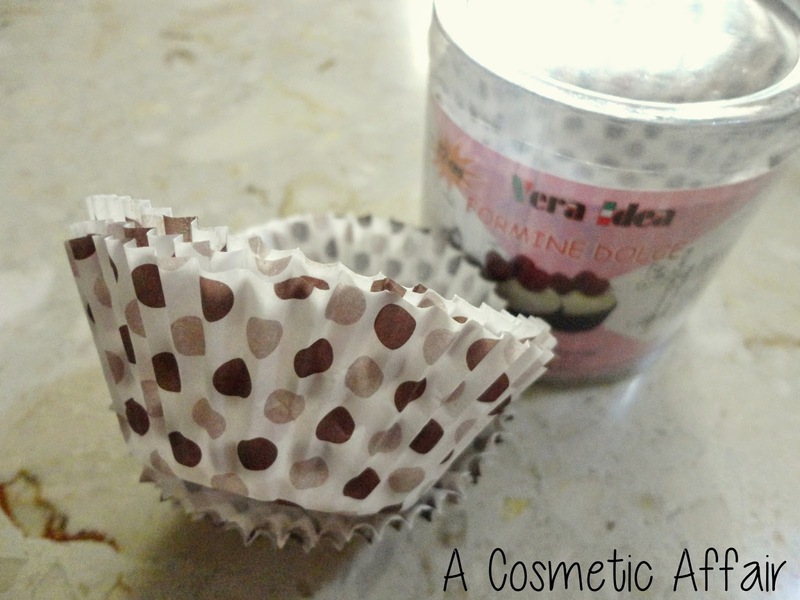 I used these brown polka dot cupcake cases for this recipe. They are about 12cm wide. 1. Melt butter. Lightly beat egg, egg whites and butter. 2. Slowly add coconut, icing sugar and flour to the mixture until fully combined, add vanilla extract. 3. Fold in the peaches, gently. 4. 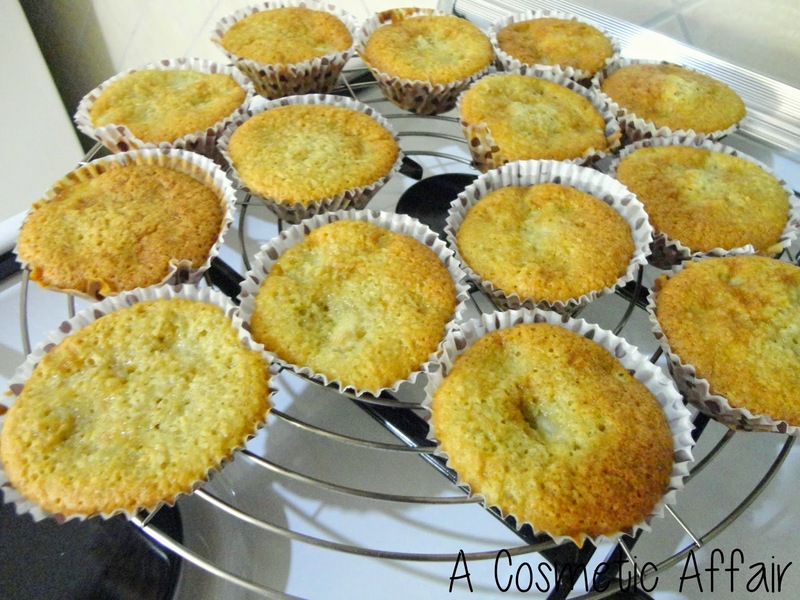 Divide equally into cupcake cases and bake in a preheated oven at 170°C for 25 to 30 minutes or until fully cooked through. 5. Dust with icing sugar before serving. Just out of the oven, my cupcakes looked golden at the top. Mine baked for about 25 minutes but I used a knife to check the centre and once it came out clean, they were done. This is how the cupcakes looked in the middle. 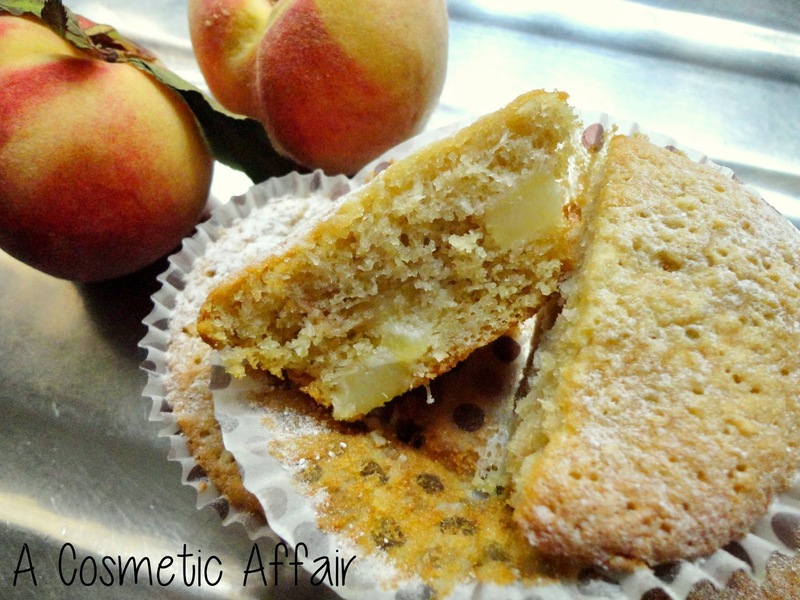 The peaches were distributed in the cake. The coconut taste is not too over powering and the peach flavour comes through just slightly. They are not too sweet and great to have at breakfast or as a midnight snack before bed. 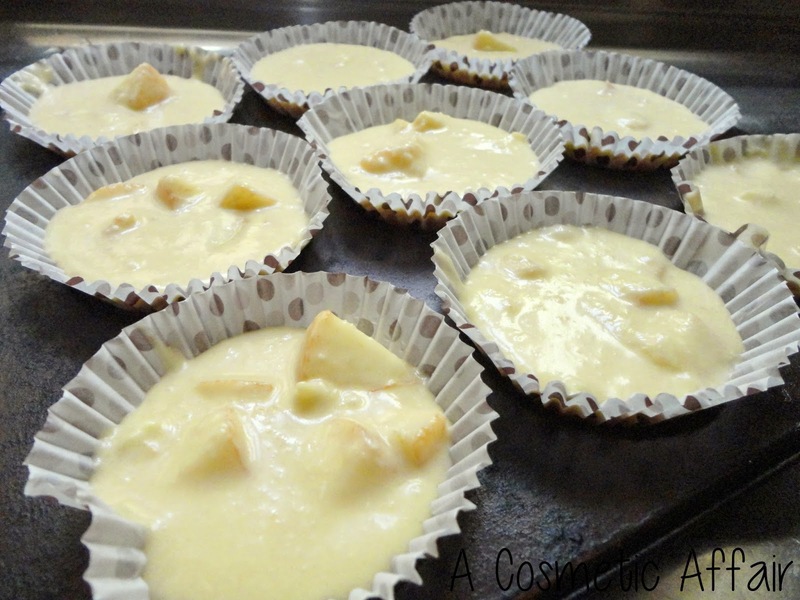 Once cooked these need to be stored in the fridge as they do not last too long, because of the fruit in the mixture. 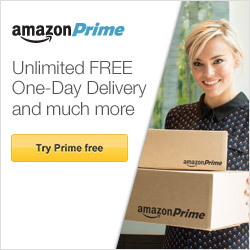 However, they will be tasty and fresh for 2 to 3 days. What is your favourite flavour combination? Do you like peaches and coconut? For more recipes, check my Cook With Me series here.